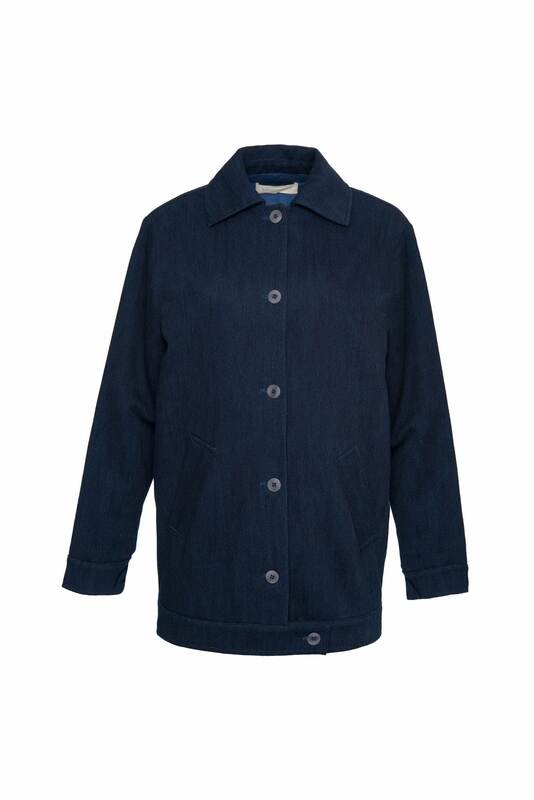 An Italian cotton denim jacket with pleated back perfect for windy autumn days. Each garment is unique and dyed by hands, therefore fabric colour will change and adapt with time. The jacket features a collar, buttons all the way down the front and two pockets on the side.